Browse > Home / Hot Topics / B737 MAX, ETOPS, Lufthansa Systems, and Much More! 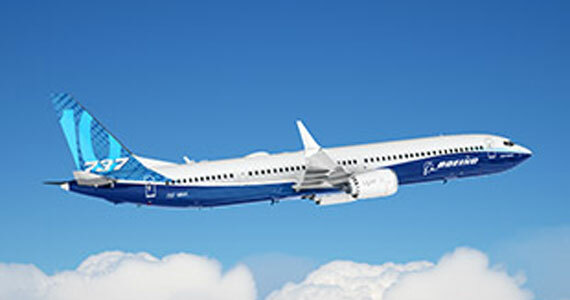 The US Department of Transportation is investigating the FAA approval of the Boeing 737 MAX and we have read the Seattle office that is responsible for safety certification of new planes is a focal point. As we understand it, the issue is the lack of requirements for extra training with the new system design and software integration. INVESTIGATING FAA: The Department of Transportation’s inspector general is investigating the FAA’s approval of the Boeing 737 MAX, according to the Wall Street Journal. The inquiry will be focused on the agency’s Seattle office which certifies the safety of new aircraft, and officials in that office have been told not to delete any emails or other documents connected to the FAA’s decision not to require extra training for a new automated system in the planes. 2. Boeing: 737 MAX Update from Boeing. In a final note, we understand a broad subpoena has been issued by a Washington DC grand jury to one person in involved in the B737 MAX development and the government is seeking any related documents, correspondence, email, etc. for analysis. Stay Tuned! “This is a story about down-sizing, ETOPS, Gateways, and city-pairs. “I got energized to pen this after getting an Alaska Airlines promo email offering low prices to Hawaii. Alaska moved their 737s into Hawaii service after Aloha went under. Yes, I knew they flew 737s to Hawaii – but from where? And to where? That surprised me. How about Bellingham WA to HNL? Well, of course, that’s an easy one (actually 2 carriers flying BLI – HI.) But how about BLI to LIH (Lihue, Kauai)? Yup! ANC to LIH as well. San Jose, Oakland, and Portland to Maui? Yup, Yup, and Yup! Why even Sacramento to Maui. Kona, too. And Spokane and Boise to Maui. “Southwest used to refer to “connecting the dots.” Once you have a presence at a station, use it! Just keep connecting all the dots in your system. Obviously Alaska has done that. And so have Westjet and a bunch of others, flying from non-Gateway cities to the outer islands in Hawaii, bypassing HNL, the Gateway at the other end. Amazing! Now on with the IFEC News. The airline optimized technology of AirSAS Ad Server allows advertisers to communicate with passengers on their personal devices. AirSAS provides a platform for international brands to target passengers based on their demographic profile such as nationality, age, gender and aircraft route. With AirSAS, advertisers can reach a selective audience in a captive in-flight environment supported by tactical campaigns such as pre-ordering and in-cabin fulfillment with real-time payment. The open architecture of Lufthansa Systems’ w-IFE platform BoardConnect enables easy integration of the advanced ad-tech solution allowing targeted services to the passengers on board. BoardConnect is accessible gate to gate through mobile devices and offers a wide range of entertainment with movies, TV series, destination guides, music, games and shopping. The AirSAS technology is now the preferred partner feature for the BoardConnect airline community consisting of airlines like Aircalin, Air Europa, El Al, Lufthansa Group airlines, Virgin Australia, etc. with almost 800 aircraft in service. AirSAS Ad Server provides real-time reporting and detailed analytics with volumes of ad impressions and click through rates (CTR) by passenger segments which are updated at every plane take-off and landing. AirSAS, recently awarded Best Supplier Innovation at Inflight Asia 2018, currently runs advertising campaigns for brands such as Breguet, Coca-Cola, Hewlett Packard, LG Electronics, Moulin Rouge, Uniqlo, Sixt, Vodafone — towards 7 million monthly passengers across Europe and Asia. SITAONAIR exceeded Single European Sky (SES) expectations through its instrumental work establishing a multi-frequency European datalink infrastructure to increase air traffic management (ATM) capacity in the region’s pressurized airspace. SITAONAIR, an expert in the aviation industry’s aircraft communications, ensured the successful roll-out of the enhanced air-ground (A/G) datalink service needed to support airlines and air navigation service providers (ANSPs) with the implementation of Controller-Pilot Data Link Communication (CPDLC). Working with partners, SITAONAIR facilitated this transition by establishing a multi-frequency VHF Data Link Mode 2 (VDLm2 MF) network infrastructure between 2015 and 2018. The VDLm2 improvements have brought key performance rates closer to reaching targets stated in the CPDLC mandate, as set out by the Single European Sky (SES) vision. As a result, the rate of Provider Aborts – which occur due to sustained loss of end-to-end connectivity – have reduced dramatically, from peaking at 24% in 2014, to falling as low as 1% in 2018 in the airspace controlled by Eurocontrol Maastricht Upper Airspace Center (MUAC). Similarly, the measured transmission delay now exceeds the target set in the CPDLC mandate. Meanwhile, the number of weekly ATN (Aeronautical Telecommunications Network) CPDLC connections with MUAC, increased from around 1,000 to 7,500 in the same period. The upgrade, made possible by SITAONAIR and key ATM partners including DFS Deutsche Flugsicherung GmbH, supports Europe to safely manage increased air traffic volumes. This currently stands at around 26,000 daily flights, with levels set to double by 2020. FINEST is a bilateral cooperation program between Estonia EANS and ANS Finland. Responding to the demands of increased air traffic and Single European Sky requirements EANS and ANS Finland decided to further strengthen their cooperation. During the World ATM Congress, a contract was signed with Thales to move forward with the FINEST initiative for the provision of a single TopSky ATC system shared between Estonia and Finland. “The objective of the FINEST program is consistent dynamic, cost-efficient and competitive cross-border Air Navigation Service (ANS) provision for the benefit of airspace users,” said the CEO of EANS, Tanel Rautits. The program will provide contingency solutions, give flexibility during periods of operation, bring cost efficiencies and improve the service provided to the airspace users”. “EANS and ANS Finland have worked together since 2005 in different areas. We have a similar historical and cultural background, but we need to strengthen our position in the Gulf of Finland area, which is why, the FINEST program is a logical continuation in our cooperation,” added Raine Luojus, CEO of ANS Finland. “At the moment, EANS and ANS Finland are both using similar but independent TopSky systems. In order to achieve the goals of FINEST, a joint Flight Data Processing System in required” added Luojus. Lufthansa Group, the biggest Airbus operator, signed an order for 20 additional A350-900 wide-body aircraft, following a decision by the company’s supervisory board. This latest agreement brings Lufthansa Group’s total orders for the A350 XWB to 45 with 12 aircraft already in operation around the world. Lufthansa’s decision reinforces the Group’s status as Airbus’ largest airline customer and operator, with 674 Airbus aircraft on order (including the latest A350 order) and 574 Airbus aircraft in the Group’s current fleet (as of 31.12.2018) including 28 A220 Family, 420 A320 Family, 100 A330s / A340s, 12 A350s, and 14 A380s. FANS-C – Airbus has delivered the first *FANS-C equipped A320 aircraft to easyJet. In the frame of Europe’s SESAR Air Traffic Management (ATM) research program, this aircraft – and others to follow – will take part in the Airbus-led project: “Demonstration of air traffic management improvements Generated by 4D Initial Trajectory Information Sharing” (DIGITS) which will demonstrate the sharing of an aircraft’s predicted trajectory data with air traffic control (ATC). FANS-C technology will enable airlines to optimize their aircraft’s trajectories and make traffic flows more fluid and aircraft speed easier to manage, which will help them to save fuel and reduce noise. In particular, the sharing of predicted trajectories with ATC controllers will enable smooth aircraft sequencing on approach and in the “Terminal Maneuvering Area”. From now until mid-2020 seven European airlines, which are all taking part in DIGITS, will progressively equip up to 100 of their A320 Family aircraft with the FANS-C technology. The “Very Large Demonstration” (VLD) will last more than a year and collect data from over 20,000 revenue flights, allowing stakeholders to demonstrate benefits of this technology during live day-to-day operations. Paving the way for start of the DIGITS operational phase and to ultimately deploy this technology across Europe and the rest of the world, Airbus achieved the world’s first certification of FANS-C ‘4D’ avionics on a commercial aircraft in November 2018 – the initial aircraft type being the A320 Family. Moreover, to complement the airborne FANS-C technology, air navigation service providers (ANSPs) throughout Europe will develop the respective ground ATC tools. For FANS-C capability on-board an A320 Family aircraft, the equipment required includes a new Data Link router (ATSU), an upgraded Flight Management System (FMS) and “DCDU” Data Link compatible cockpit displays. FANS-C will be first available on the A320 Family and subsequently on all other Airbus programs. Navigation Aids – As Gulf airlines become ever more attractive for business and tourist travel, and with the region’s growing importance as both a destination, and as a transit point for Europe to Asia routes, Saudi Arabia is striving to continue to offer safety and efficiency in airspace management while strengthening and maintaining a complex supply chain for their installed base of air traffic management equipment. Because of the country’s meteorological conditions, which include frequent sandstorms, and a significant day time night time temperature shift, sophisticated equipment such as navigation aids, which are constantly exposed to the elements, require regular and responsive maintenance services. Thales is able to quickly and efficiently respond to all customer needs. This challenge is the reason why Saudi Air Navigation Services (SANS), the organization responsible for maintaining safety over Saudi Skies, has consistently chosen Thales to supply navigation aids at major airports. The Group proposed a holistic solution to ensure a robust and secure supply chain of spares. Through a Vendor Managed Inventory VMI program, SANS will procure spares and repairs based on a predetermined price list and fixed delivery time. One of the key elements of the VMI is the reduction of turnaround time from several weeks to virtually zero. The contract is for the support of SANS’s extensive installed base of Thales Navaids, including the ILS 420, CVOR 431, DVOR 432 and DME 415/435 installed across the Kingdom. 4-Flight – Faced with significant traffic increase across France, the French air navigation service provider DSNA and Thales, the world leader in ATM, have been working together to implement 4–FLIGHT, a new-generation ATM system for en-route control. Two area control centers (ACCs) located in Marseille and Reims are due to be operational in the winter of 2021/2022. The Paris ACC will be operational in the winter of 2022/2023. Also from Airbus: STARLUX Airlines orders 17 A350 XWB aircraft for long-haul services. The Taiwanese carrier signed a firm order for the 17 widebody aircraft, comprising 12 A350-1000s and 5 A350-900s. The new airline plans to deploy these aircraft on its premier long-haul services from Taipei to Europe and North America, as well as selected destinations with the Asia-Pacific region. “We are very glad to sign the official purchase agreement today for Airbus widebodies. The A350’s combination of extra-long range capability, significantly lower operating costs and high passenger comfort were key factors in our decision,” K.W. Chang, Founder and Chairman of STARLUX Airlines said. “STARLUX is committed to becoming one of the best airlines in the world. We are positive that with the A350 XWB, we will be able to spread our wings to further destinations, bringing our best-in-class services to more people over the world in the near future.” The A350 XWB offers by design unrivaled operational flexibility and efficiency for all market segments up to ultra-long haul (9,700 nm). It features the latest aerodynamic design, carbon fiber fuselage and wings, plus new fuel-efficient Rolls-Royce engines. Together, these latest technologies translate into unrivaled levels of operational efficiency, with a 25 per cent reduction in fuel burn and emissions. The A350 XWB’s Airspace by Airbus cabin is the quietest of any twin-aisle and offers passengers and crews the most modern in-flight products for the most comfortable flying experience.